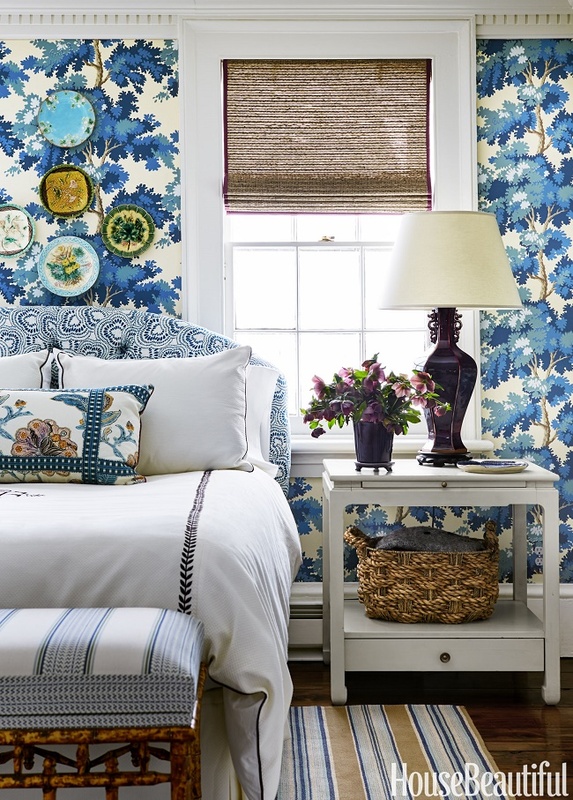 This gorgeous bedroom is part of talented designer Anne Maxwell Foster's 1850s New York home and it absolutely blows me away! I like how effortlessly chic, beautifully layered and visually delightful this room is. The fresh, exciting Sandberg's Raphaël flora wallpaper truly stands out and provides the perfect backdrop for layering patterns and textures. The designer really did a great job balancing the bold wallcovering with smaller patterns so each element shines on their own! Such a stunning and thoughtfully designed space, what's not to love? Your thoughts? gorgeous room and I just love the mix of patterns in there without it all colliding.